Campylobacteriosis, primarily caused by the consumption of contaminated chicken products, accounts for the majority of food poisoning cases in Europe and many other developed countries. The cost to the economy in terms of lost productivity and the treatment of the relatively small proportion of sufferers who receive medical attention is considerable, and is estimated to cost the European member states some 2.4 billion euros per annum. However, unlike less common forms of food poisoning such as salmonellosis or toxicity due to Escherichia coli 0157, consumers seem to be generally unaware and even unconcerned about campylobateriosis. Despite this, many agencies responsible for food safety are concerned about the incidence of campylobacteriosis and many, the UK agencies included, are turning to the producers and retailers of chicken to take action that will reduce the incidence of Campylobacter-positive chickens and chicken products entering the food chain. 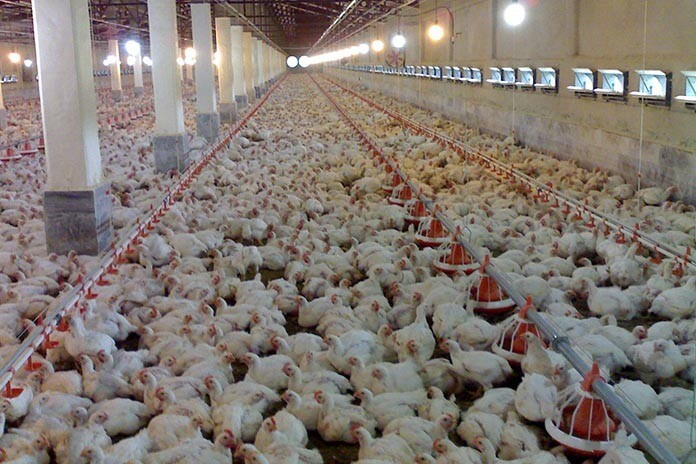 With current European Union (EU) legislation limiting interventions that can be applied at the processing plant, inconsistent results when using feed- and drinking-water-based products to control Campylobacter and no vaccine likely to be available in the short term, on-farm biosecurity is one of the few areas that producers can focus on that may reduce the incidence of Campylobacter-positive chicken. The use of hygiene barriers to try and ensure that only designated footwear is worn inside the poultry house is discussed as is the use of flyscreens. The issues surrounding compliance by farm staff with biosecure procedures is discussed, in the context of studies of workers in the poultry and human health sectors that show that compliance may be as low as 50%. Incentives for personnel to comply with biosecure procedures when entering bird housing as a control measure for Campylobacter may be limited in many countries. However, recent findings show a highly significant association between Campylobacter-positivity and poorer feed conversion ratios (FCRs), possibly linked to studies that suggest that some types of Campylobacter may be more pathogenic than thought previously. So there may be a commercial incentive for personnel to comply with biosecurity procedures because it will reduce feed costs, while at the same time providing the wider benefits to consumers of Campylobacter-free poultry products. 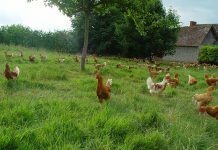 Routine and standardised testing of flocks for Campylobacter, combined with prompt feedback to the farm is recommended as a way of reinforcing good practice and so helping to reduce the number of flocks that become Campylobacter-positive. In the UK, Europe and many other developed countries, Campylobacter associated with the consumption of chickens is the primary cause of food poisoning. The cost of campylobacteriosis to the economy in lost productivity and health care has been calculated to cost European Union (EU) member states 2.4 billion euros per annum. A significant proportion of the health care cost is associated with sequelae linked to campylobacteriosis such as Guillain-Barre syndrome, reactive arthritis (ReA) and irritable bowel syndrome. Cost estimates are likely to rise further as functional gastrointestinal disorders (FGDs) are now recognised as being associated with gastroenteritis (albeit not just caused by Campylobacter). It is notable that despite the societal and personal costs resulting from food poisoning and the long-running awareness campaigns by the UK’s Food Standards Agency (FSA), the UK consumer is generally less aware of Campylobacter than might be expected and, arguably, less concerned than could be expected. So, for example, a survey of UK consumers found that only just over 30% of people had heard of Campylobacter (cf. >90% for Salmonella and Escherichia coli) and, when told that a recent survey had shown 60% of chicken sampled were contaminated with Campylobacter (and the implications explained), only six out of 10 consumers were concerned about these results. Although public awareness and concern may be limited, in Europe, both awareness and concern are evident among the government agencies with responsibility for food safety and there is increasing pressure on chicken producers to produce birds that are either Campylobacter-free or carry fewer Campylobacter in their digestive tract. In the UK the FSA, with other research funders, worked closely with both producers and retailers for many years, funding and co-funding with producers and others, studies and programmes of research with the ultimate aim of reducing campylobacteriosis in the UK population. Workshops were held at which experiences from countries that had successfully reduced Campylobacter carriage in the national chicken flocks, or appeared to have naturally low prevalence of Campylobacter in the national flock, were shared. In a country where margins for the producer are low and food retailing is highly competitive it could be assumed that the FSA consider this approach to be one that more fully engages the whole food chain Unlike some countries however, where penalties or differential payments are used to incentivize the production and sale of Campylobacter– free birds, there is as yet no similar motivation in the UK. This said, trials are now being conducted where some poultry farmers are being offered relatively small bonuses for the production of Campylobacter-free birds. In Europe considerable emphasis is placed on the on-farm control of Campylobacter because legislation currently limits the ability to treat carcasses in the slaughter plant with products that can reduce the bacterial load. However, even outwith Europe it is recognised that effective control of Campylobacter is reliant upon pre- and post-harvest/slaughter interventions, so the on-farm control of Campylobacter also remains important in countries that can use interventions to reduce the bacterial load on the carcass. Attempts to model the impact of the incidence of Campylobacter in the national chicken flock and the incidence of campylobacteriosis in those consuming chicken are fraught with uncertainty. We understand that exposure to sources other than chicken, the type of Campylobacter and the size of the susceptible population complicate predictions but still lack much of the knowledge to accurately model even these factors. It is not surprising therefore that figures ranging from 35% to 80% of human campylobacteriosis cases have been proposed as being attributable to chicken sources. However, the UK’s FSA considered that reducing the percentage of carcasses entering the food chain with > 1000 cfu/g, from 27% to 10% could lead to a reduction of between 15% and 30% in human cases of campylobacteriosis. Typically birds will become positive for Campylobacter after 10 days of age. The reason for this delay in birds becoming positive is not fully understood but may include maternal immunity passed on from parent stock that are or were themselves Campylobacter-positive; possibly aided by the relatively dry litter in the poultry house that may limit the ability of Campylobacter to survive (at least in an infectious form) and the relatively small volume of excreta produced by birds in the first weeks of life. Evidence for Campylobacter being transmitted vertically, while possibly occurring under some circumstances, is limited and is unlikely to play a significant role in anything other than the minority of instances. Similarly while there is evidence for specific campylobacters circulating around a production company’s farms and slaughterhouse, the evidence for a specific Campylobacter being carried over from one flock to the next, assuming the poultry house is cleaned anddisinfected effectively between flocks, is limited. On the evidence to date therefore it is probable that most flocks become Campylobacter-positive due to Campylobacter being introduced into the flock following placement. Drinking water has been suggested as a source of Campylobacter but, while some studies isolated Campylobacter genotypes from the drinking system and then from subsequent flocks, the evidence to date suggests that with the exception of untreated water, water is not a significant source of Campylobacter in commercial chicken production. Similarly feed and fresh bedding material (wood shavings), because of their low water content, are not considered to be potential sources of Campylobacter. 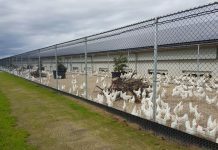 Some countries, notably Denmark and Iceland, have had considerable success in reducing the incidence of Campylobacter-positive flocks by fitting flyscreens to air inlets on the poultry houses. Proponents of flyscreening observe that the increase in the incidence of Campylobacter – positive flocks is often associated with the onset of the flies hatching out. However, for flyscreening to be effective it is critical that Campylobacter is prevented from entering the house on personnel and equipment, etc. It can be difficult to separate out the benefits of flyscreening and other, less specific, biosecurity measures. Depending on the ambient environment, Campylobacter can be routinely recovered from the environment around poultry houses although it is not uncommon, up until the flock becomes positive, for the types isolated from the environment and from the flock to differ. This could be taken as evidence that the environment around the poultry house, although potentially contaminated with Campylobacter, is not a primary source of the types found in flocks. However, we know that in adverse climatic conditions (e.g. low temperatures approaching or below freezing), the incidence of flock positivity falls dramatically. We also know that Campylobacter vary considerably in their ability to infect different host animals, so it would be expected that most of the Campylobacter identified in the environment around the poultry house are never detected in the birds. Furthermore the approaches and techniques used to isolate and type Campylobacter from the environment, more specifically the percentage of Campylobacter that are typed versus those in the environment, may simply be inadequate to identify the relevant Campylobacter from the environment. Studies that have reviewed the reservoirs and sources of Campylobacter that are isolated from positive flocks highlight the importance of personnel and equipment as the means by which Campylobacter can be introduced into the poultry house. Studies have highlighted direct effects such as the difficulties experienced in removing Campylobacter from the equipment used to catch chickens (e.g. module frames, module drawers, crates) as well as potentially indirect effects, as the increased risks caused by catchers entering a building to thin birds, risks associated with larger farms/increased house numbers on the farm). A potentially confounding factor, and one that is often not referred to directly when considering data from on-farm studies, is compliance by personnel with biosecurity procedures and the impact that compliance can have on various interventions. Commonly used interventions to control Campylobacter can be broadly categorised as those designed to prevent Campylobacter entering the bird area and those aimed at preventing the Campylobacter multiplying in the bird. Typically interventions used to prevent Campylobacter multiplying in the birds involve the use of feed or water additives that will adjust the pH in the digestive tract, making it unfavourable for Campylobacter, or will inhibit growth through some other mechanism, such as competitive exclusion, reducing the availability of nutrients required by Campylobacter to multiply, modulating the innate immune system and improving gut health. Water treatments, which also have the potential to reduce the Campylobacter load of drinking water before it reaches the bird, tend to use organic acids, either singly or as combinations. However, to date the results have been inconsistent. Considerable efforts have been put into the development of a vaccine that would be effective against Campylobacter. 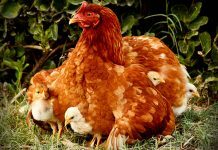 However, to date an effective vaccine that could be suitable for use by commercial poultry producers has still to be brought to the market. So-called hygiene barriers, designed to remind those entering the bird area to change their footwear have been popular in Scandinavian countries for many years and are now mandatory for those growing birds using the main Quality Assurance scheme for chicken growers in the UK. Ensuring that footwear is changed prior to entering the bird area removes the risk posed by footwear that is worn outside the building not being properly disinfected in a footbath. Anecdotal reports from producers indicate that when used properly and consistently then the use of a hygiene barrier, irrespective of any changes of clothing, has a significant effect on the incidence of Campylobacter-positive flocks. As mentioned above, the use of flyscreens over the air inlets has been successful in some countries in reducing the incidence of Campylobacter-positive flocks. However, when used as part of a long-running trial in the UK there were no detectable significant benefits of using screens. The reasons why flyscreens may not have reduced the incidence of Campylobacter – positive is open to debate. However, the failure of personnel to always comply with the requirement to adequately disinfect or change footwear prior to entering the bird area was considered to have been at least part of the cause. 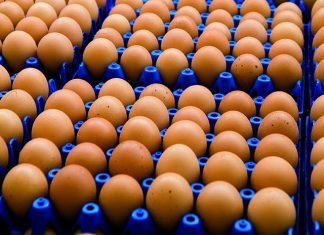 This highlights one of the most difficult challenges that producers probably face in controlling Campylobacter, what appears to be the need for rigorous compliance with basic biosecurity procedures. Compliance by poultry farm workers with standard biosecurity procedures has been reported to average 50%. Experiences in Iceland indicate that under commercial conditions it can take several years for personnel to comply with biosecurity procedures in a way that predictably results in Campylobacter-negative flocks. This is not to suggest that farm workers are necessarily complacent regarding biosecurity procedures, but rather it is an indication of the difficulties involved in consistently implementing procedures under commercial conditions. In this context it is notable that a report on hand-sanitiser compliance (notable also ~50%) in the health sector showed poorer compliance in intensive care units (ICU) than in general wards, the reason given being the greater pressure on staff in ICU compared with general wards. Sparks et al. (2013) noted that, in a longitudinal study involving 24 farms flocks on specific farms were negative or positive more frequently than would have been predicted by chance. Anecdotal observations of this type have been made before but this is the first time that statistically significant results were presented. For farms that were positive more frequently than would have been predicted if it were a chance event, there was no evidence to suggest that the environment was more heavily contaminated or that particular sequence types were persisting. The interpretation of these findings can be challenged but, taken alongside the other findings from this study, could be taken as evidence of the importance of the farm workers in particular in keeping flocks Campylobacter-negative.